"So," he said, "I have been presented, by both of you, with a bribe." Both lawyers squirmed uncomfortably. "You, attorney Leon, gave me $15,000. 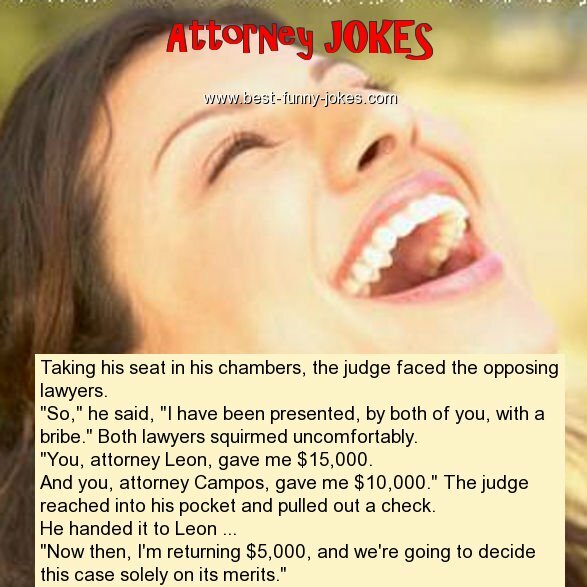 And you, attorney Campos, gave me $10,000." The judge reached into his pocket and pulled out a check.